A quick rambling on 2019's Dumbo. Ok, so, the original Dumbo (1941), was not my favourite Disney movie. Yes, I definitely shed a tear at the 'Baby Mine' scene (I mean who wouldn't), but overall I thought it was a little boring at times. Not the pink elephant's scene though (because what the heck was happening there). When I saw that they were going to make a live action version, at first, I sighed in disappointment. Mostly because I (a massive fan of the house of mouse), thought that they should stop with the live action remakes. [although I did love Beauty and the Beast (2017), despite not thinking that I would]. Some films should be left as classics. Not that I believed that the original necessarily was one. From the trailers of the live-action remake however, I was in awe of how they transformed the animation. Starring Danny Devito, Colin Farrell, Michael Keaton and Eva Green (to name a few), the brilliant casting speaks for itself. Opening the same as the original with Casey JR. riding down the track, the film pays homage to its predecessor. 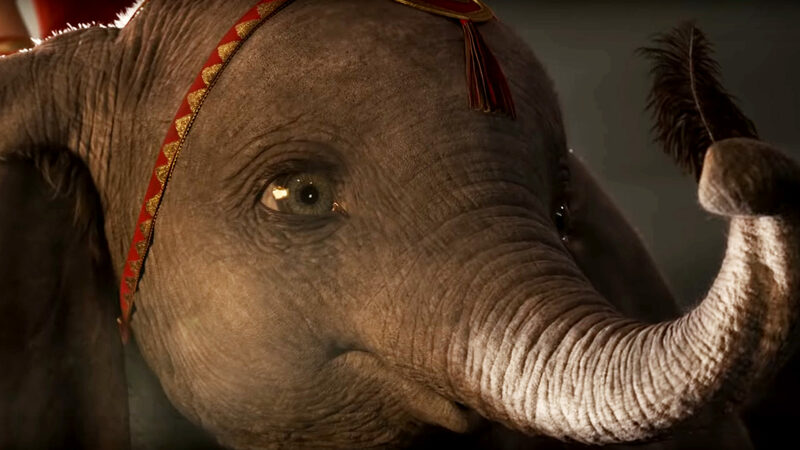 The whole film is undoubtedly magical, from the moment Dumbo first takes flight to its breath-taking ending. I do, however, wish they made more of Timothy mouse as he was a pivotal part of the original. The plot itself follows a predictable albeit whimsical tale, with many changes from the 1941 Disney classic. From the addition of characters to a villain — Michael Keaton, who is set on exploiting the elephant to gain fame and continue growing his wealth. Overall I thoroughly enjoyed the film. Much more than I did the original in fact. I thought that the development in the story made it more impactful and gave it layers that meant it would appeal to both the younger and older generation. The acting was also brilliant, the special effects beautiful and Dumbo himself is bloody adorable. I would recommend this to any Disney fan, as it showcases a new era for the tale and brings it to life.